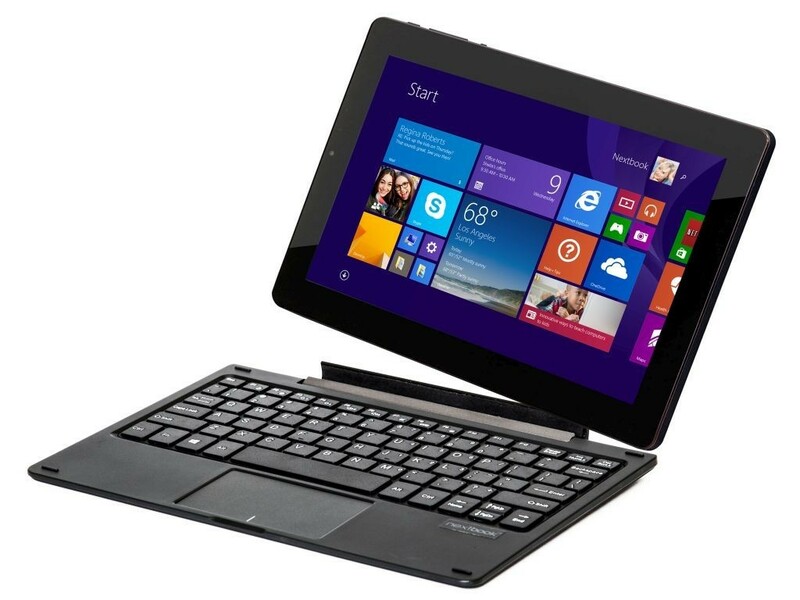 If you buy a tablet, it’s likely that you will want a keyboard for it if you do any sort of regular input. The on-screen keyboard is fine every once in a while, but if you’re doing heavy typing, you need a real keyboard to get the most out of your tablet. Here’s our ultimate guide to the best tablet keyboard. Why don't tablets come with keyboards? Actually, some of them do. 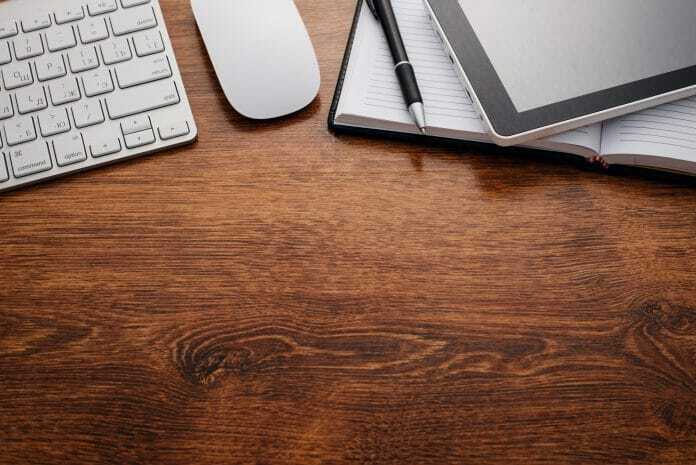 If you go for a “2-in-1” computing option, you may get a laptop that folds over into a keyboard, or something like the Microsoft Surface where the keyboard can be detached and then the screen acts as a tablet. However, these options are more expensive than many on the market. If you’re looking to save money, it’s often more cost-effective to purchase a separate keyboard. How do I attach my tablet to a keyboard? Most tablets come with Bluetooth connectivity, and all of these keyboards do as well. 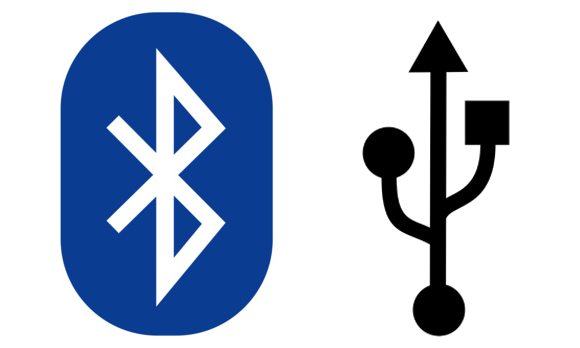 However, if you have an older tablet, some keyboards still offer a USB connection if you can’t do Bluetooth. We really wanted to get a variety of keyboards that could appeal to various purposes and price ranges. Thus, we have full-sized keyboards alongside those meant for tiny, cramped spaces. All of these keyboards are high-quality and will last you a long time. We also wanted to make sure that the connectivity was good and the battery life was reasonable for the price. Most of the time, tablet keyboards will go for between $15 and $100, depending on the brand and features. Unsurprisingly, those that are from big-name companies (like Microsoft or Apple) are going to be more expensive than those that are from no-names. Additionally, full-size keyboards tend to be more expensive than their smaller cousins. This is an absolutely incredible wireless keyboard. It’s not the cheapest option on the market, but you definitely get what you pay for, and it’s Amazon’s Choice for a very good reason. This remarkable keyboard can support up to three devices at once, and it even comes with a USB port if your devices are a bit older and don’t support Bluetooth. The Logitech K780 Multi-Device Wireless Keyboard is a typing machine. The keyboard is full-sized and provides a great surface for touch-typing. It is compatible with all of the major operating systems that tablets have: iOS, Android, and Windows. It comes in two colors, so you can have a great typing experience and look great doing it. The full-sized keyboard is definitely a pro with the Logitech K780 Multi-Device Wireless Keyboard. Reviewers love the way that it feels under their fingers, and the fact that it can last over a year on just one set of batteries is another reason to adore it. The multi-connectivity is also a major plus. In terms of negatives, there is no backlighting on the Logitech K780 Multi-Device Wireless Keyboard, so it’s not exactly the greatest device to use in the dark. Plus, there aren't any num lock or caps lock indicators, which can prove annoying. The Logitech K780 Multi-Device Wireless Keyboard is available for $40 - $60 on Amazon. 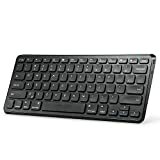 You can buy the Logitech K780 Multi-Device Wireless Keyboard from Amazon or directly from Logitech. The Logitech K780 Multi-Device Wireless Keyboard comes with a 1-year limited hardware warranty. 3. Reasonable Layout. QWERTY Layout with Hot keys Customized for iPads, Including Volume, Music Control, Brightness etc. On a budget? Looking for something that will do the job but not cost you an arm and a leg? Then you’re looking for the OMOTON Ultra-slim Bluetooth Keyboard. This remarkable budget-friendly tablet keyboard actually has the look of an Apple keyboard, but it’s much lighter (due to being made out of plastic) and much cheaper. 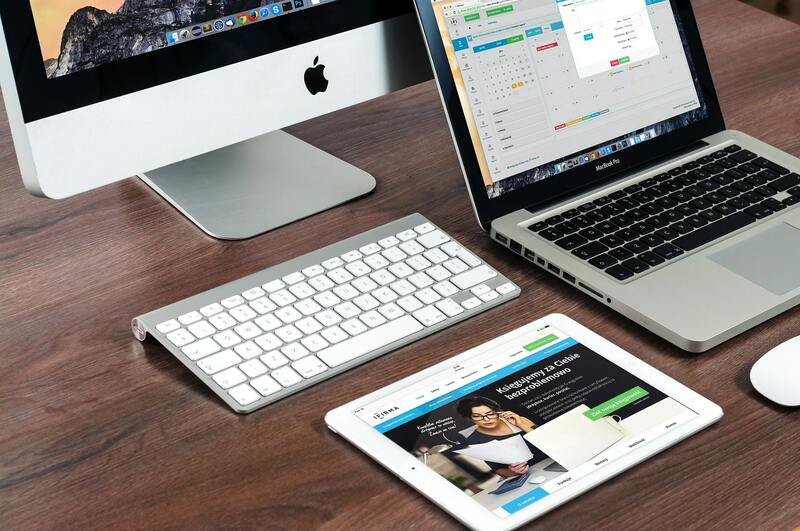 Even though the OMOTON Ultra-slim Bluetooth Keyboard looks like an Apple product, it will work with operating systems that aren’t Apple. It’s light, it’s small, it’s easily portable and it’s affordable. For the person who doesn’t want too much muss or fuss, this is a great option for something cheap and good-looking. Did we mention the price? This is one of the most affordable tablet keyboards you can get that still looks great. It will do the job, and its connectivity is pretty decent. It also has two color options so you can get one to match your kit. However, it’s definitely a budget option, and this shows in the construction. Plus, there’s no backlight on the OMOTON Ultra-slim Bluetooth Keyboard, so it’s probably not the best for working in dim environments unless you’re a very good touch typist. The OMOTON Ultra-slim Bluetooth Keyboard is available on Amazon for $10 - $20. You can get the OMOTON Ultra-slim Bluetooth Keyboard from Amazon. The OMOTON Ultra-slim Bluetooth Keyboard has a 1-year warranty. This is actually a keyboard meant for a computer, but it works perfectly well as a tablet keyboard. The Microsoft Wireless Desktop 900 has an added bonus: it comes with a wireless mouse! That will definitely turn your tablet into a regular computer, if that’s what you’re looking for. The key features of the Microsoft Wireless Desktop 900 are basically those of a regular keyboard. If you are looking for a wireless keyboard that has backlighting, a num/caps lock indicator and everything that you enjoy out of your regular keyboard, then Microsoft Wireless Desktop 900 will deliver since it is, indeed, a regular keyboard. Again, since the Microsoft Wireless Desktop 900 is meant for use with a desktop, it has all the qualities of a regular keyboard. No mini “portable” keyboard here for you to try to make your fingers tap around on. It’s got a backlight and num lock capabilities, so you'll get all of the conveniences you get out of a regular keyboard. Plus, its manufacturer is Microsoft, which is a name many people trust. Additionally, it comes with a mouse. Of course, the Microsoft Wireless Desktop 900 is more expensive than some other options. Plus, the downside of it being a regular keyboard is that the Microsoft Wireless Desktop 900 isn’t as portable as some other options in the market. The Microsoft Wireless Desktop 900 is $30 - $50 on Amazon. You can buy the Microsoft Wireless Desktop 900 from Amazon or directly from Microsoft. The Microsoft Wireless Desktop 900 comes with a 3-year warranty. Sometimes, you may not want a full-size keyboard. It’s not always practical to have one, particularly if you are in a scrunched spot, such as on an airplane. For those times when you don’t have the space for a full-sized keyboard, then reach for the Arteck HBO30 Universal Slim Portable Wireless Keyboard. It’s a pint-sized keyboard that is perfect when space is at a premium, but you still want to type on a tablet keyboard. The key feature of the Arteck HBO30 Universal Slim Portable Wireless Keyboard is definitely its size. It’s slim, it’s ultra-portable and it comes with an astonishing seven different backlight colors to choose from (though the keyboard itself is always black). This is definitely a product that is designed to be thrown in your bag when you are on the go. The biggest advantage to the Arteck HBO30 Universal Slim Portable Wireless Keyboard is its size. This is a get-up-and-go keyboard that will match your tablet in size. If you’re the sort of person who tends to work in crowded environments, or if you simply want something that you can easily throw into your bag in the morning, then the Arteck HBO30 Universal Slim Portable Wireless Keyboard is what you’re reaching for. However, the Arteck HBO30 Universal Slim Portable Wireless Keyboard’s biggest pro is also its biggest con, depending on how you look at it. Some people may find the Arteck HBO30 Universal Slim Portable Wireless Keyboard difficult to type on due to its smaller size. You’ll have to relearn how far to reach for the keys. The Arteck HBO30 Universal Slim Portable Wireless Keyboard is $15 - $30 on Amazon. 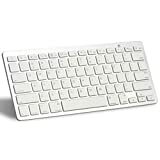 You can buy the Arteck HBO30 Universal Slim Portable Wireless Keyboard from Amazon. The Arteck HBO30 Universal Slim Portable Wireless Keyboard has a 1-year warranty. This is a great option for those who want a slimmer keyboard but also require a full-sized set of keys on which to type. If the Arteck HBO30 Universal Slim Portable Wireless Keyboard is too tiny for your needs, then the Anker Ultra Compact Slim Profile Keyboard might help you out. It’s a bit bigger than the Arteck, but it will give you a full-sized keyboard on which to type. The Anker Ultra Compact Slim Profile Keyboard takes up two-thirds of the space of a traditional keyboard, but it still manages to fit a full-sized keyboard in that space. The space management on the Anker Ultra Compact Slim Profile Keyboard is pretty impressive in that regard. It is made particularly for iPads, but it is compatible with all major operating systems. It is also rechargeable and one charge will last for up to six months. The biggest pro to the Anker Ultra Compact Slim Profile Keyboard is the space management. This is a good keyboard that is workable in tighter spaces compared to a traditional keyboard, but it’s not so tiny that it will impede your typing. Most people can type as well on the Anker Ultra Compact Slim Profile Keyboard as on a normal keyboard. The rechargeable batteries are also a big plus. However, it doesn’t have any backlighting and it isn’t as portable as some other options. If you want to go ultra-portable, there are better choices on the market. The Anker Ultra Compact Slim Profile Keyboard is $15 - $40 on Amazon. The Anker Ultra Compact Slim Profile Keyboard can be bought on Amazon. The Anker Ultra Compact Slim Profile Keyboard has an 18-month warranty. Again, the best tablet keyboard for you depends on your needs. If you have the space for a full-size keyboard, then you look into one for ease of typing. However, we really fell in love with the Artek HBO30 Universal Slim Portable Wireless Keyboard. It’s very small and very light, and to us, the point of a tablet is to maintain its portability. Otherwise, we tend to use laptop computers for our mobile needs. Again, if you need to carry around a full-size keyboard with you, why are you taking a tablet and not a laptop? 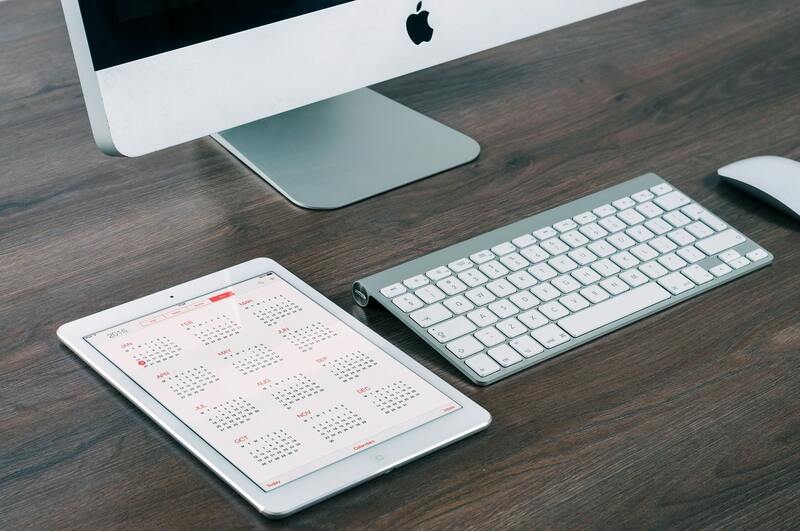 But the Artek HBO30 Universal Slim Portable Wireless Keyboard performs beautifully for its size and really does preserve the small and compact nature of tablets. Typing on the smaller space does take a bit of adjustment, but most skilled typists will have it figured out in a matter of minutes. We also really like the many different backlight colors that you can choose. Also, the fact that it has a backlight is pretty rare in the tablet keyboard market. If you really need a larger keyboard to type on, then we’d recommend the Anker Ultra Compact Slim Profile Keyboard. It’s almost as small as the Artek, but the larger keys are a plus.